Even if I work from home, I still look forward to weekends and I often spend my weekend at home. A weekend is a time to bond with family. My cousins often come over just to catch up with our lives. I also keep my Skype on to chat with friends. I watch videos to update myself with my favorite TV shows. My weekends are really meant for relaxation and a quiet time at home with family. For the past two weekends, we had a cute visitor. 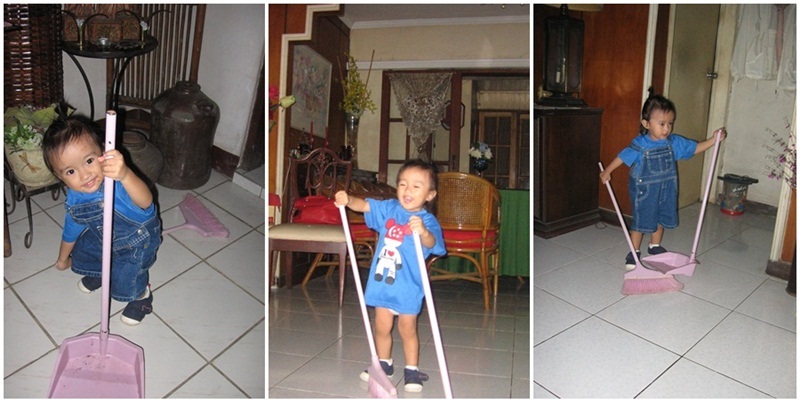 And he was fascinated with our pink broom and dustpan! Look at his face. He really enjoyed sweeping the floor. We indulged him. We know that there will come a time that he will not like picking up a broom anymore. Yesterday, he visited us again. We got him a gift. This is a belated Christmas gift. I did not get him anything for Christmas because I did not see a nice gift with my budget. So what I did is to ask my cousin to chip in to get this gift. Clever, huh? I realized that because we have the little one every week, the upkeep of the house should be up to standard. He loves rolling and crawling on the floor. 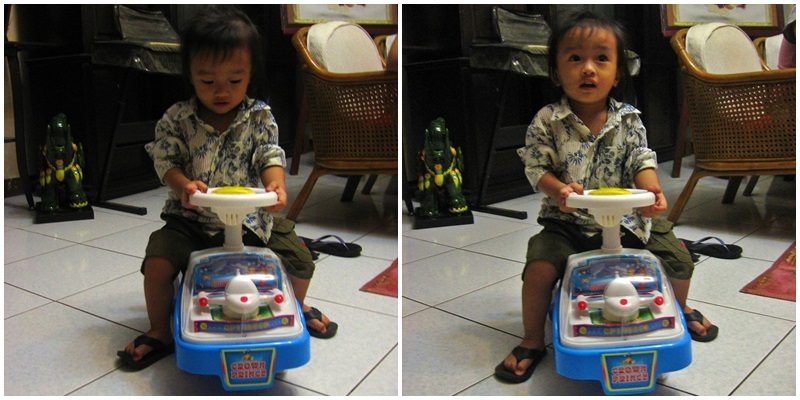 There have been studies that crawling enhances the child’s brain development. For that to happen, we have to keep our floor thoroughly clean when he is around. It is nice to have a vacuum cleaner that can do the work without disrupting the peace and quiet the weekend brings. Electrolux has that particular product. Check out Ultra Silencer Green! Another activity that relaxes me during the weekend is chit-chatting with my aunts. We prepare snacks together and this weekend, I had the time to do the food experiments. I tried new recipes this week- chocolate chip cookies and kutsinta. I also made the old favorites: Pinoy spaghetti (yes, with ketchup and hotdogs) and pancakes (I went overboard with the chocolate sauce). While my aunt was eating the chocolate chip cookies, she had one criticism. She said that her snacks would have been perfect if it was paired with a shake. I actually inherited a 5-piece appliance system from my mother which includes a blender. Because it is a 5-in-1 thing, I have to assemble the blender for every use. When I want a relaxing weekend, I am not too crazy to do that. Clean up is also cumbersome. And because this is a bonding activity at home, we talk while prepare the food. 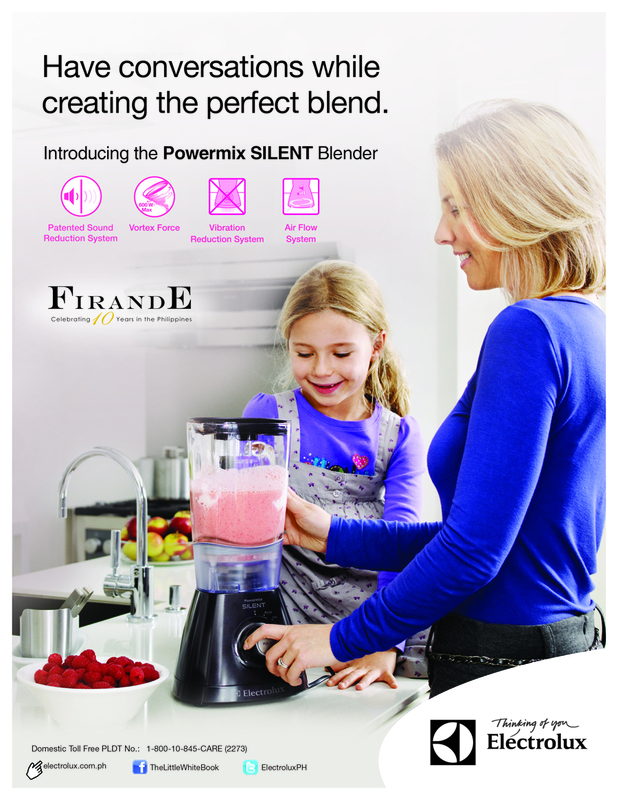 The blender is not really a quiet appliance to deal with unless, of course, if we have the Powermix Silent Blender. 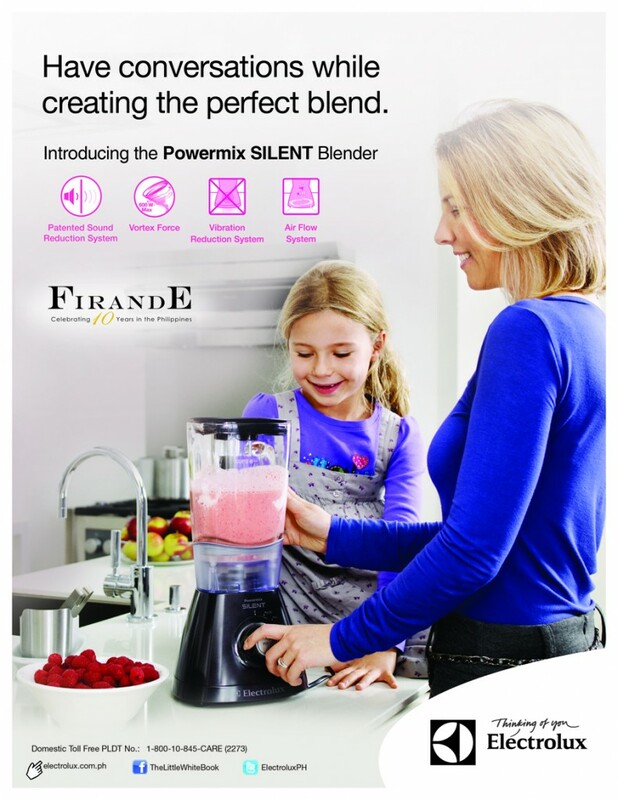 If I have this blender, I’d be happy to prepare my aunt’s favorite fruit shakes. A clean house, fruit shakes and bonding time with family are recipes for a happy home. 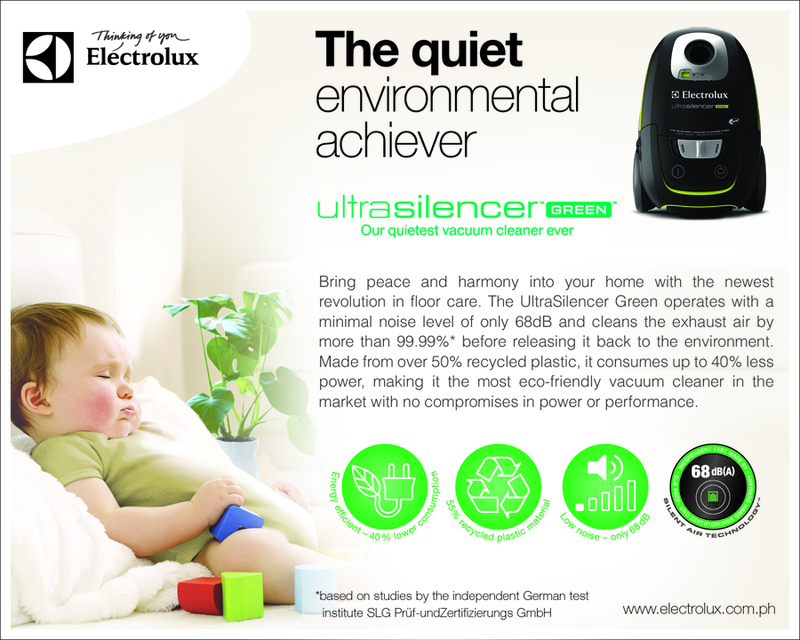 To learn more about Electrolux Philippines and their products, visit Electrolux Philippines Official Website. Follow Electrolux Philippines on Twitter. ** This is my entry to a Nuffnang Contest. Tags: blender, electrolux, vacuum cleaner, weekends. That is a great innovation for a blender. I hope I can have one too. Interesting Electrolux products! I always have difficulty with the aftercare of blenders… esp. now I don’t have any helper! oh, i’ve the kutsinta, looks yummy…is that chocolate sauce too? yes, reese. we forgot to buy coconut or cheese. He did. He cried when we took those away from him! If I have a blender without an annoying noise could be fun. We will no longer distract our neighbor while doing some activities like fruits shake. 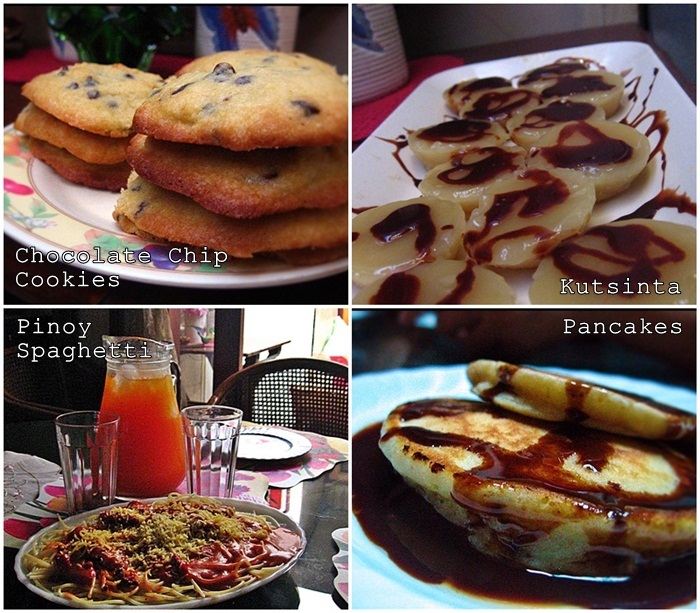 Speaking of pancakes, I am going to buy one for our merienda this weekend. Maiba lang. Havent tried any Electrolux product although I’ve heard they’re really good. Parang mahal e.
Thanks, Maan! I hope so! I’d like to have the blender! I think we need to replace ours already. I just wonder if it could crush ice. I want to have that blender and the spaghetti too!yum! the spaghetti is cheap. there is a 20-peso pack from del monte- merienda size. it can feed 4-5 people. We have a blender in our home in the Philippines, but am thinking of getting one for myself here abroad so I can prepare a lot of fruit juices for myself. Good luck on the nuffnang contest! I love electrolux products. I have a mini-katulong nga e-my electrolux automatic washing machine (if it magically hangs or dries the clothes na rin then I will be one happy mommy talaga). I know you are not aware of it but to older ones like me, they (electrolux) was all over the place in the 80s. They even have this jingle about the friendly electrolux man who is “gonna knock on your door, ring on your bell, tap on your window too”. LOL! I have never had an Electrilux guy come to our house. you must be very young. they were everywhere in the 80’s. Weekends are really fun time, family time. I love weekends.